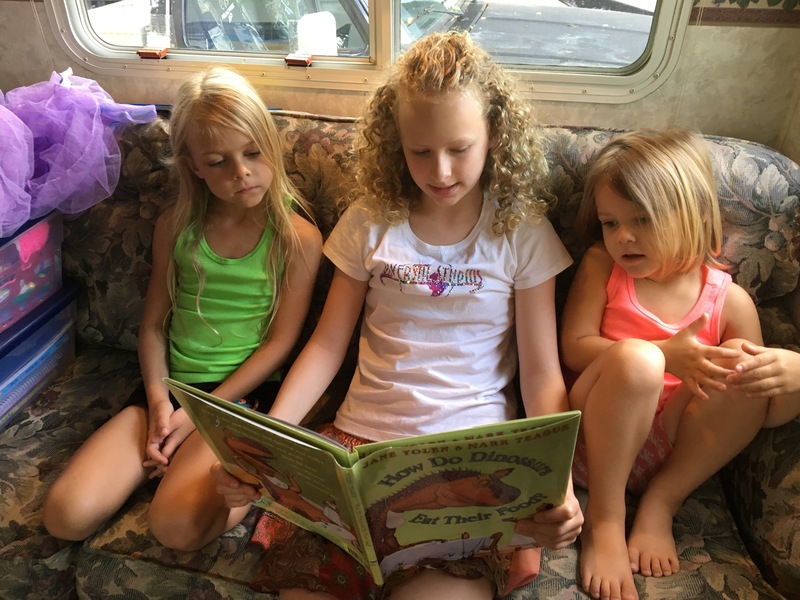 Our week in West Virginia was a flurry of playing with cousins, slumber parties, visits with the family matriarch “Ma”, and catching up on laundry in the free family laundromat by washing every single thing in our camper that wasn’t tied down. Brad’s uncle and aunt are only 10 years our seniors, so we have a lot of fun interacting with their family. They are a decade ahead of us on the parenting adventure, so they are great mentors for swapping stories and gleaning advice. 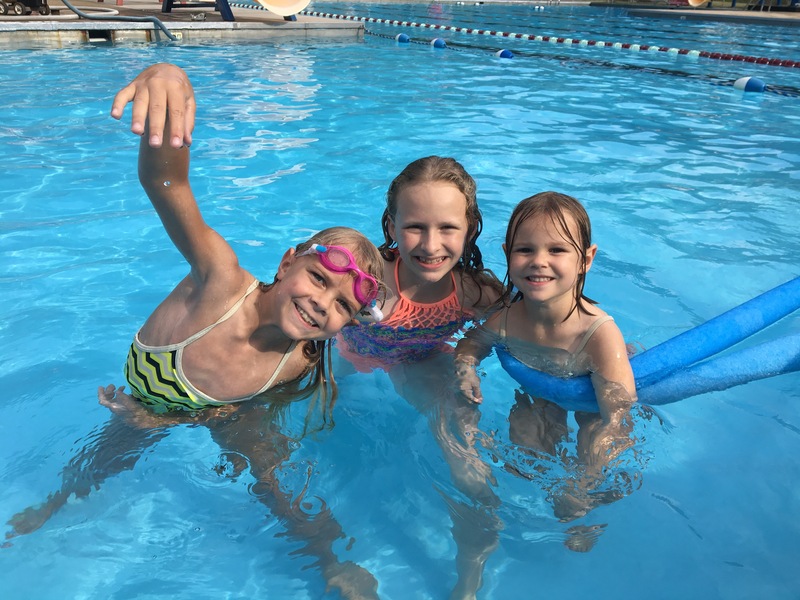 For the girls, most of the days were filled with visits to the neighborhood swimming pool, long games of hide & seek, slumber parties, and watching movies with their 2nd cousin once removed (??? ), Bridget. Brad spent a lot of time getting caught up on work, and also visited the nearby city of Charleston where he went to high school to meet up with 2 old friends. I spent most of my days there mooching the free wifi, free laundromat, and free giant oven. (Our cabinets are now well stocked with homemade granola). 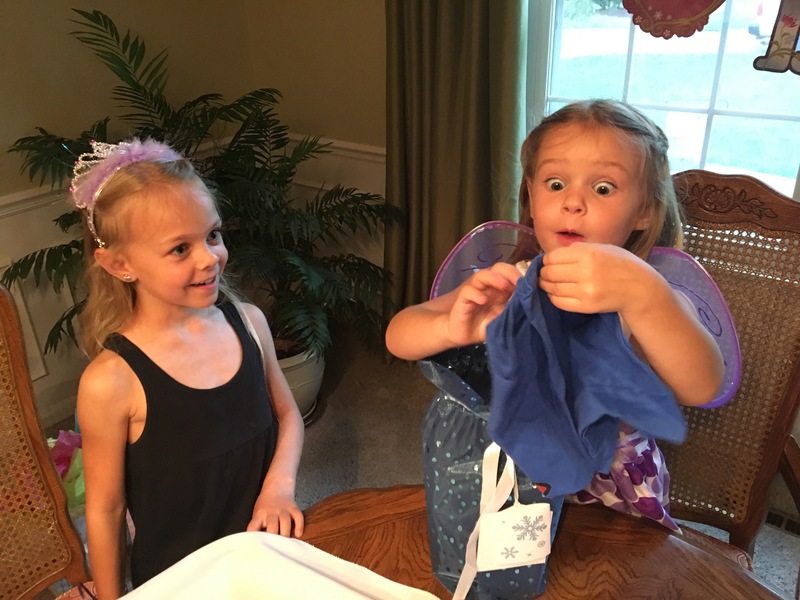 The girls had so much fun playing with their cousin Bridget all week! 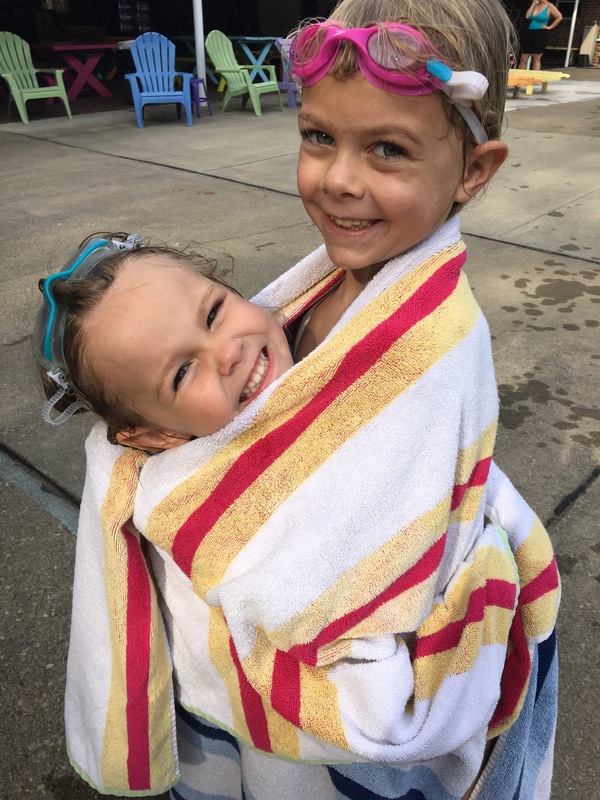 They hit the neighborhood pool almost every day. 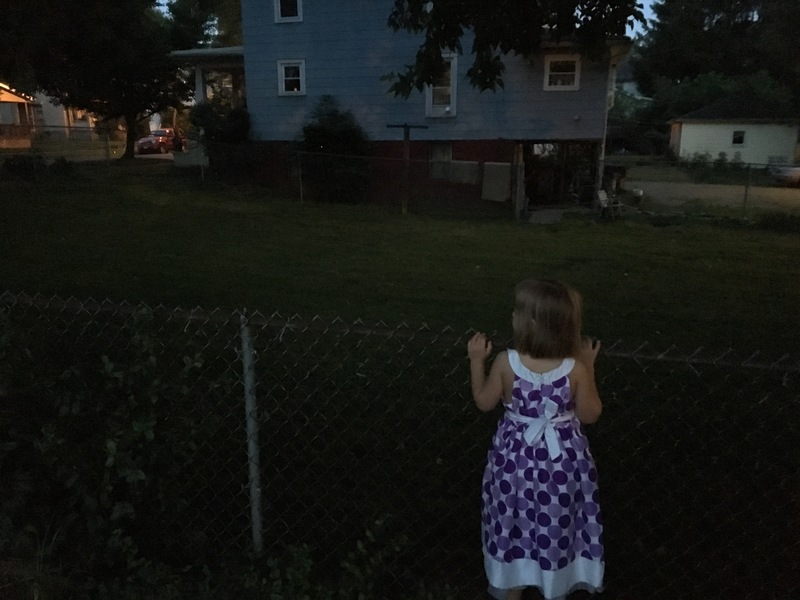 Coral seeing fireflies for the first time, across the fence from our campsite. The great thing about having 12 year old Bridget around, is she is 50% playmate and 50% nanny. 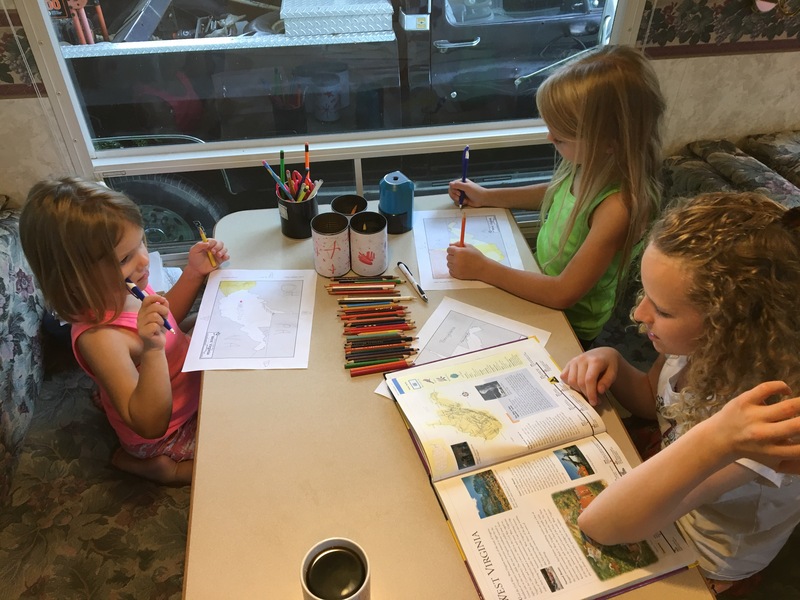 Bridget did the West Virginia page with the girls for their geography binder. 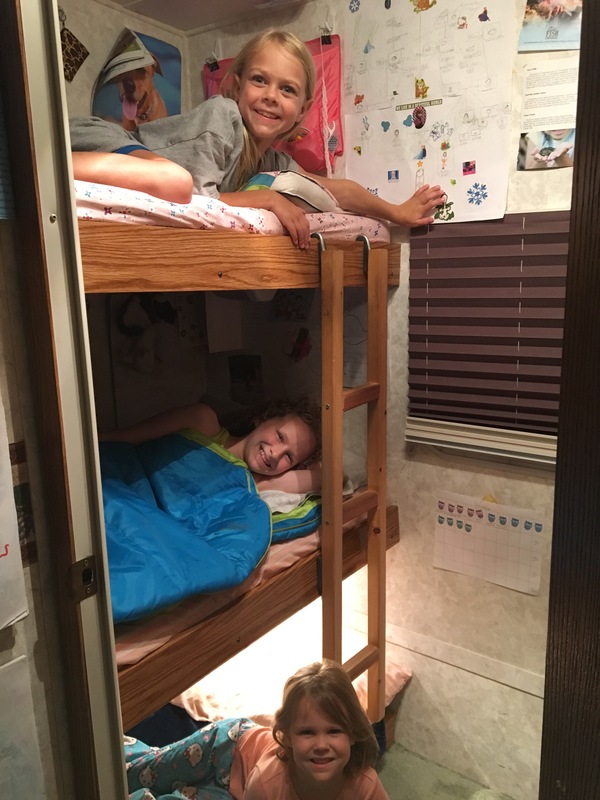 Another slumber party in Stumbo’s bunkroom! The next morning we went on a bike ride. 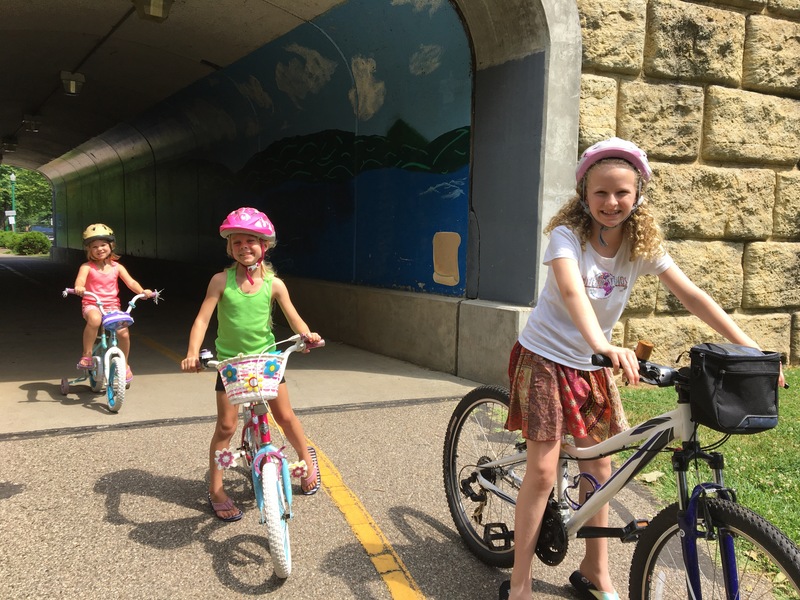 Bridget showed us the lovely river trail in Marietta, OH. 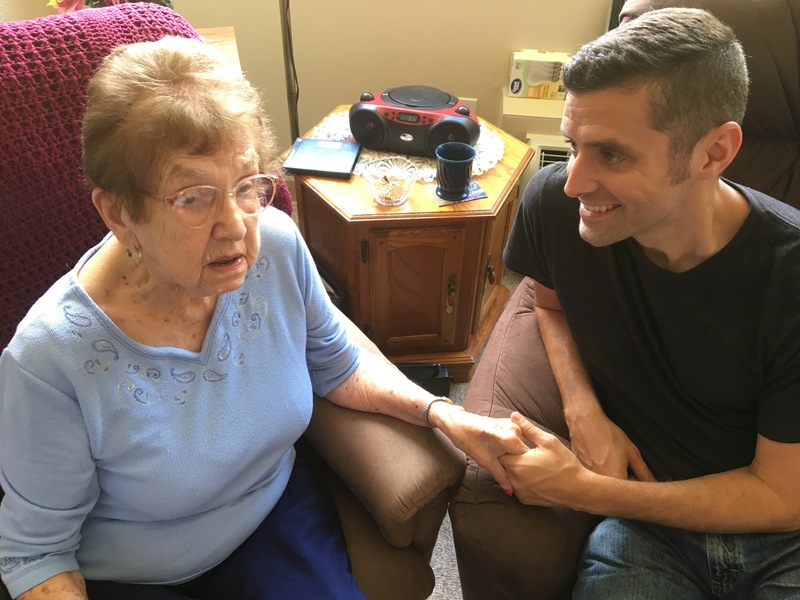 We also enjoyed multiple visits with Ma, Brad’s 101.5 year old Great Grandmother. She’s one of the most amazing people I’ve ever met. Even the shortest of interactions with her leaves you feeling magically filled with love and peace and joy. 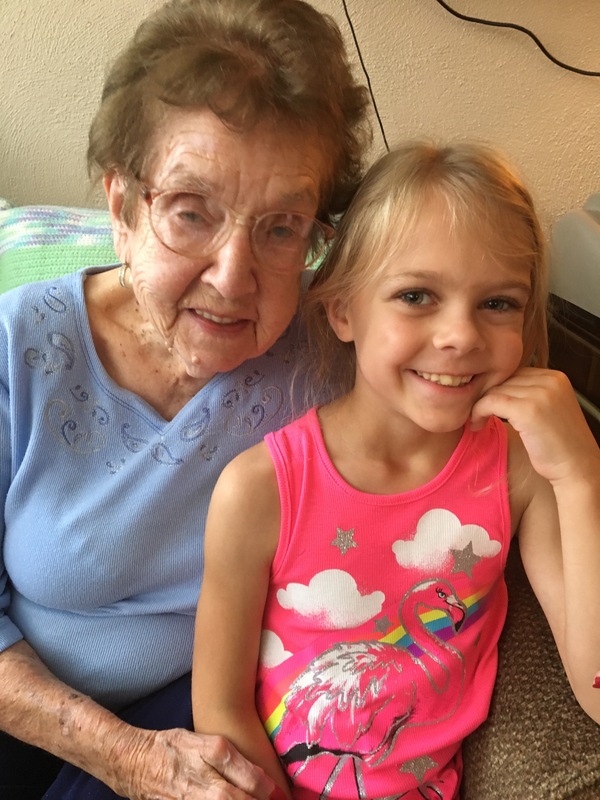 She has a vivid memory and can retell stories from 80 years ago in amazing detail. 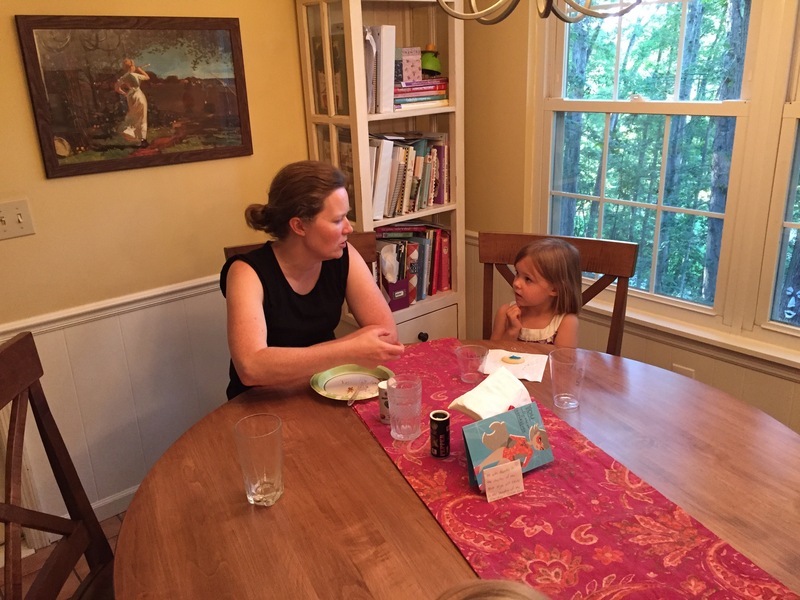 However, she’s usually more interested in hearing about our lives and understanding what’s new in our world than talking about herself, so you have to come armed with questions if you want to hear more from her than questions and encouragement. I’m so glad we had quality time with her on 3 separate visits during this week. 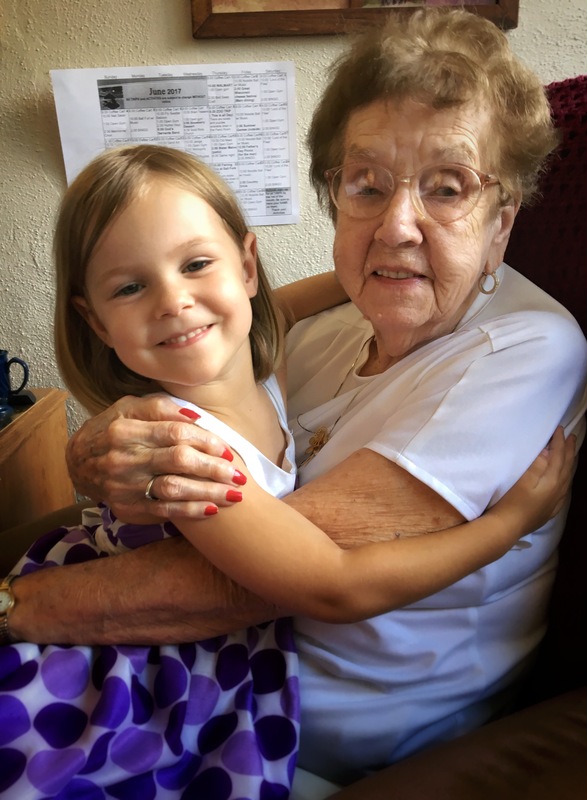 She is the 6th and final grandma that the girls have been able to see since we started this trip almost 10 months ago (if you count their Grandma that we hugged goodbye in Wenatchee as we launched on this journey). One of our main reasons for visiting this area was to get to spend time with the girls’ 101 year old Great Great Grandmother, Ma. Brad with one of his all-time favorite people. 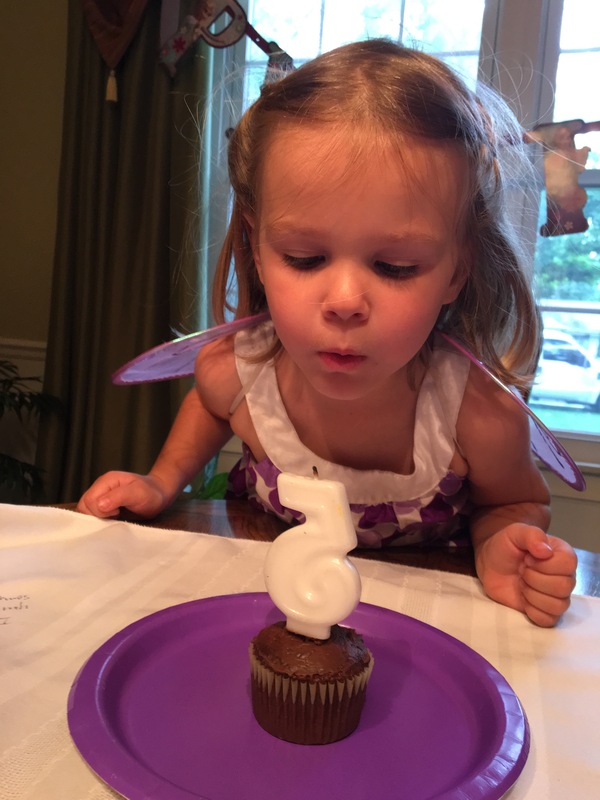 Another great joy during this week was that we were able to celebrate Corals 5th birthday. 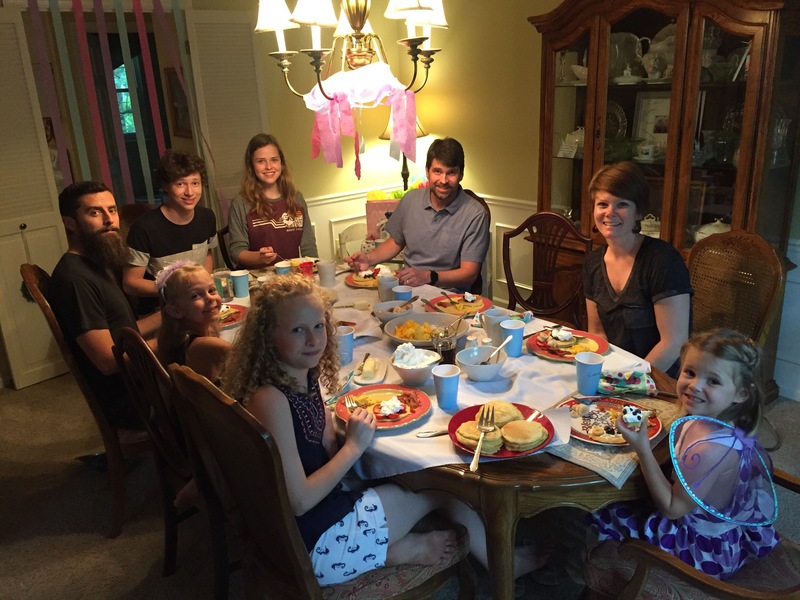 The Wards generously offered to throw her a party at their house, so we had her requested birthday breakfast for dinner. 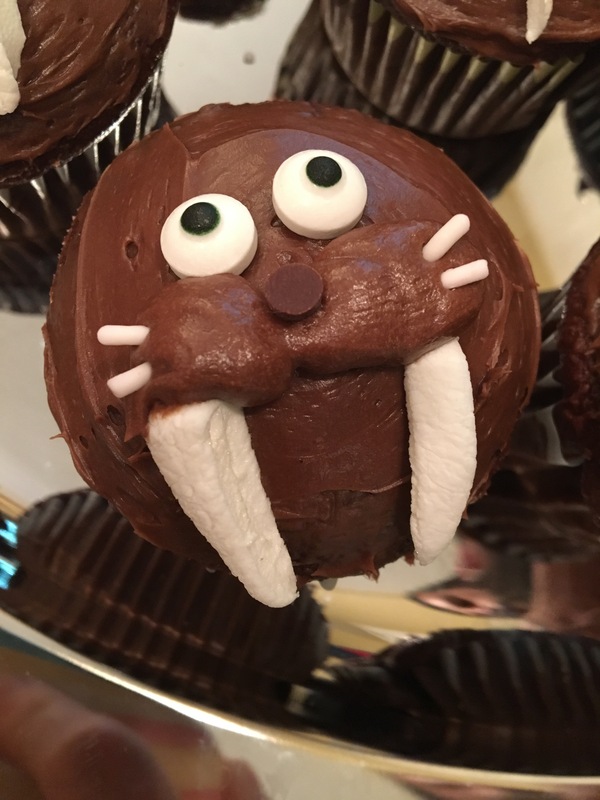 And then of course for dessert…walrus cupcakes. We are planning to visit the Indianapolis Zoo on Friday to see 2 real walruses, but in the meantime, cupcakes, masks, figurines, and tshirts were as close as we got during our celebration. It wasn’t intentionally planned that we would be staying near family for her birthday, but it definitely made it a more festive occasion. It was a fun and memorable night, just like the sweet little person that we were celebrating. 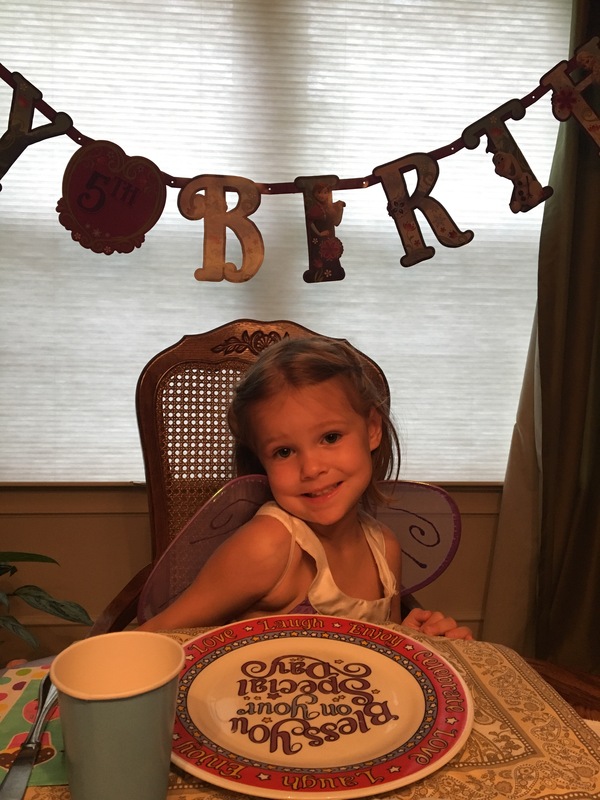 We got to celebrate Coral’s 5th birthday with family in West Virginia. 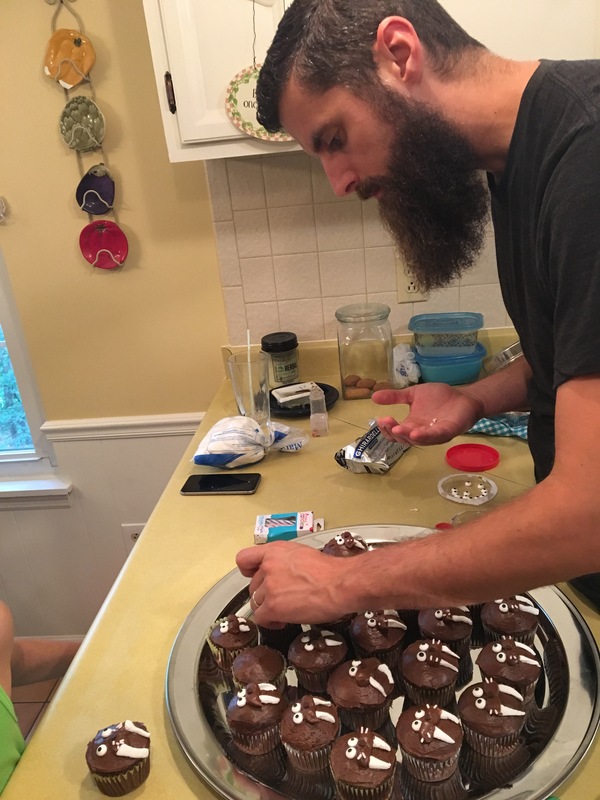 Brad working hard to prepare the requested walrus cupcakes. 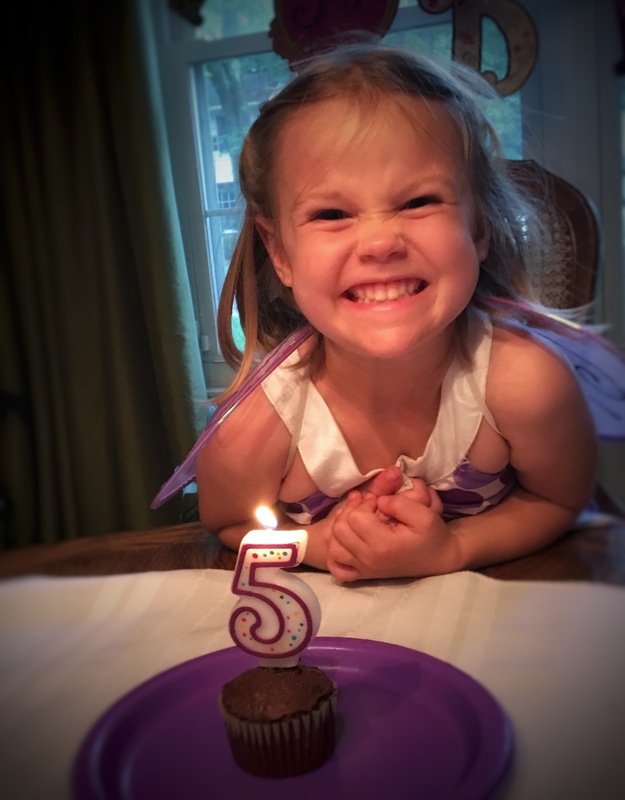 The very special 5 year old. She requested breakfast for dinner, so we had bacon from Amish country, cheesy eggs, and lemon poppyseed pancakes topped with blueberries and fresh whipped cream. Made a wish & that was that! 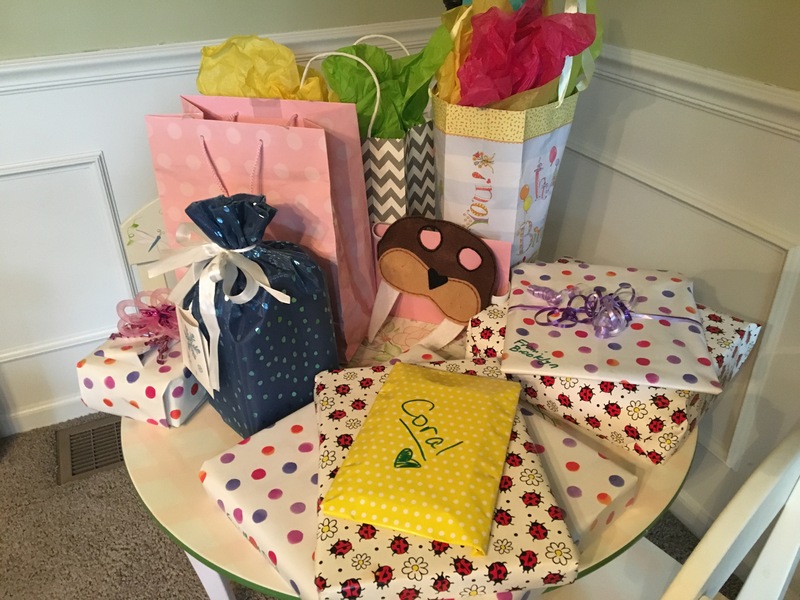 Present time! 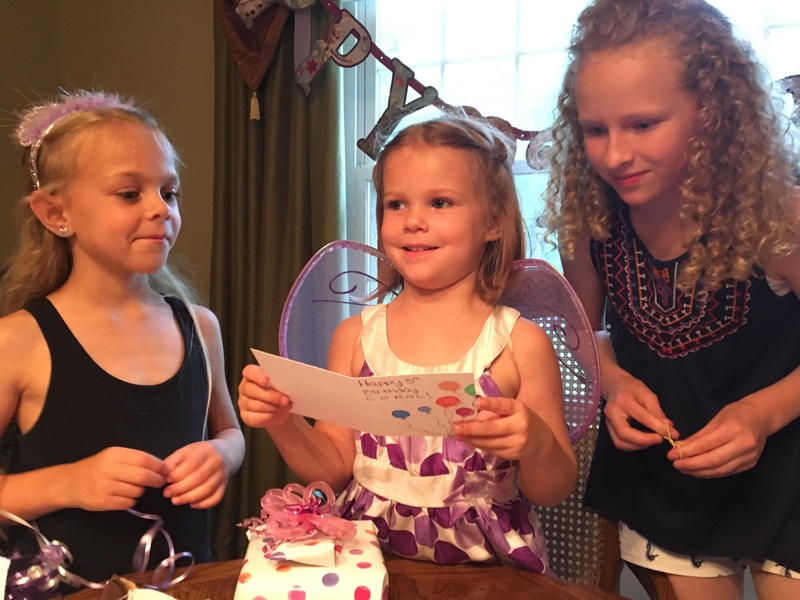 She read her birthday cards aloud to everyone. “Just what I’ve always wanted! !”, as she opened the walrus t-shirt from Aunt Cheryl. 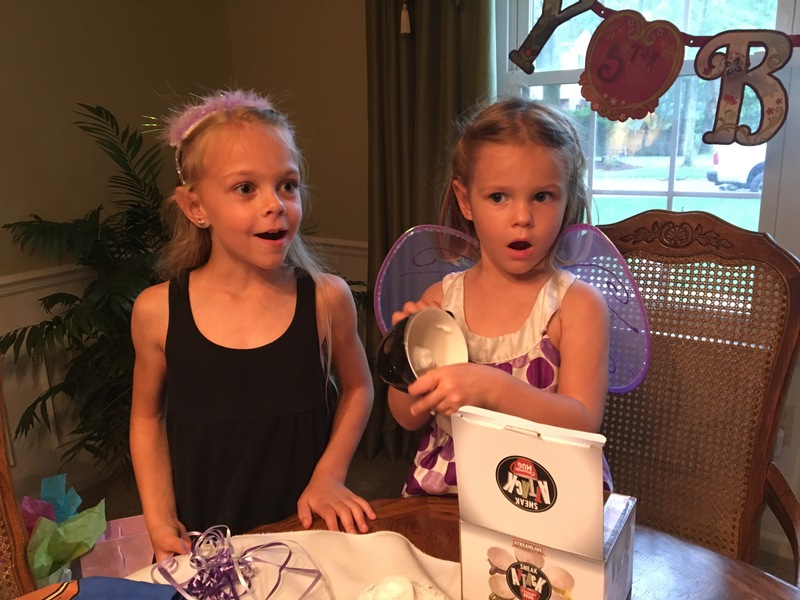 Two girls in awe of a coffee mug with a ceramic walrus inside. 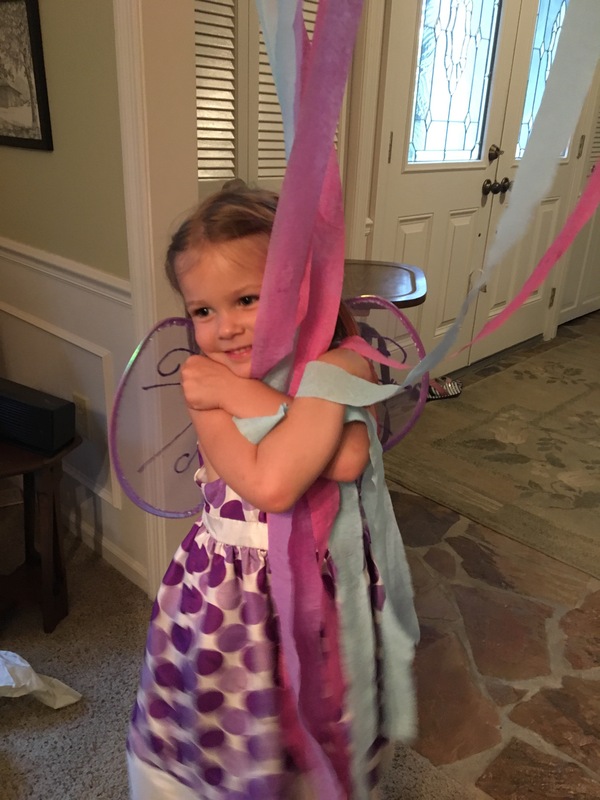 This sweet girl loved her party. I’m so glad we got to be with family for the occasion, and they really went out of their way to help make this night extra special! “But she still talks like a young person,” Sunny replied. 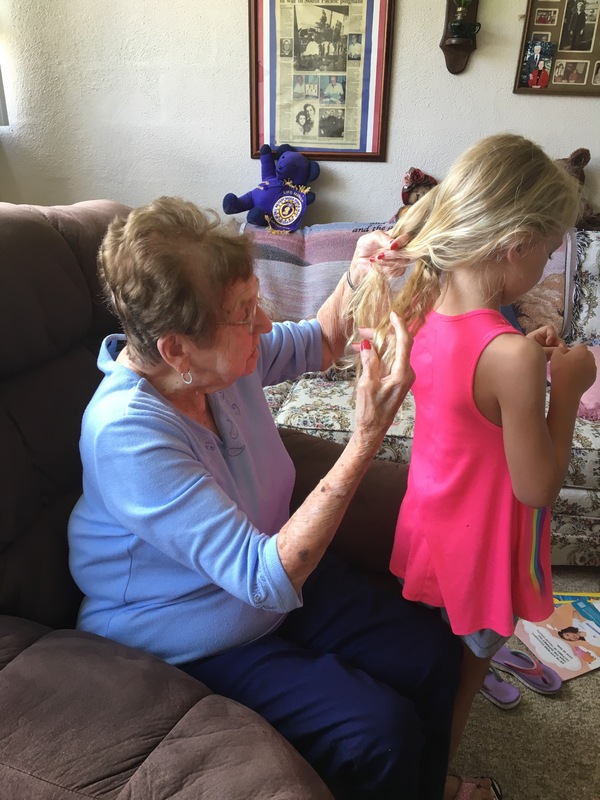 Ma asked Sunny if she could do her hair, and gave her the most lovely braid. Hanging out with this special lady is a rare treat that is hard to describe. Here’s Brad with Ma on the last day of our visit. Can you spot the 5 differences from the earlier picture? As the girls and I have read through our American History book this spring, we often place the historical events by figuring out how old Ma would have been when any given event took place. 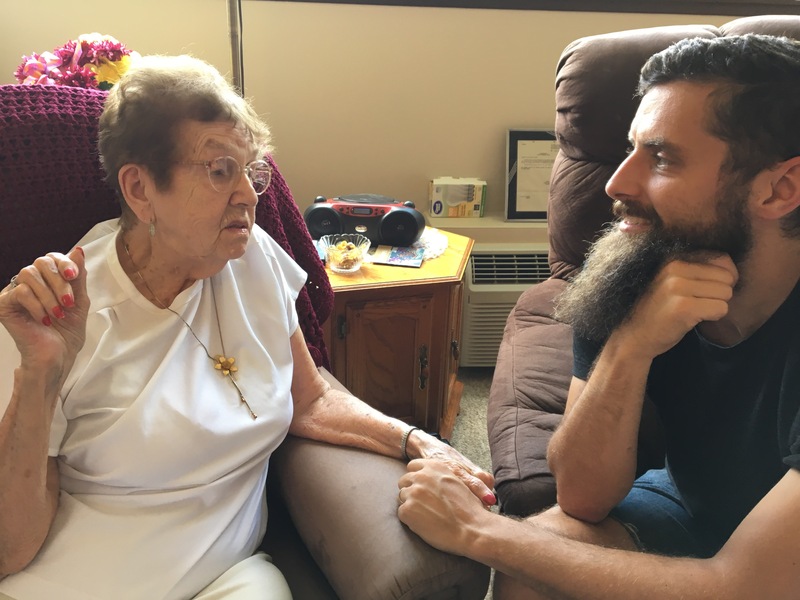 We told her that her name had come up many times recently in our historical discussions, and we asked her some questions about life during the Depression. She said that times were tough, but that her family never went hungry. She said they often ate the same few, available foods for every meal.